Avenue Bread in Fairhaven has Great Sandwiches! I am aware that some people find my blog by searching ‘Bellingham sandwich’ or ‘sandwiches in Bellingham’, or some such query. While I picked my blog name just because I thought it was catchy, I don’t want to disappoint those people who just want a sandwich! 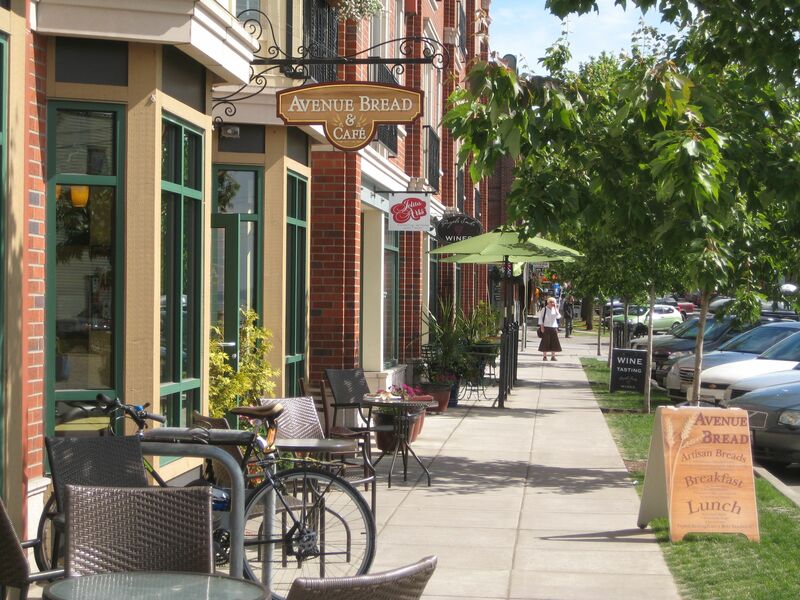 So, I thought I’d write about one of my local favorites, Avenue Bread in the Fairhaven neighborhood of Bellingham. This is one of three Avenue Bread locations in Bellingham, and the one closest to my house. The people who work there are really friendly, and they also make a really great sandwich. In the morning, you can get a delicious breakfast sandwich on an english muffin (try the rosemary), filled with ham, egg, and whatever else you might want. I usually get whatever is on special, it’s always good! For lunch, they have plenty more sandwiches for your eating delight. 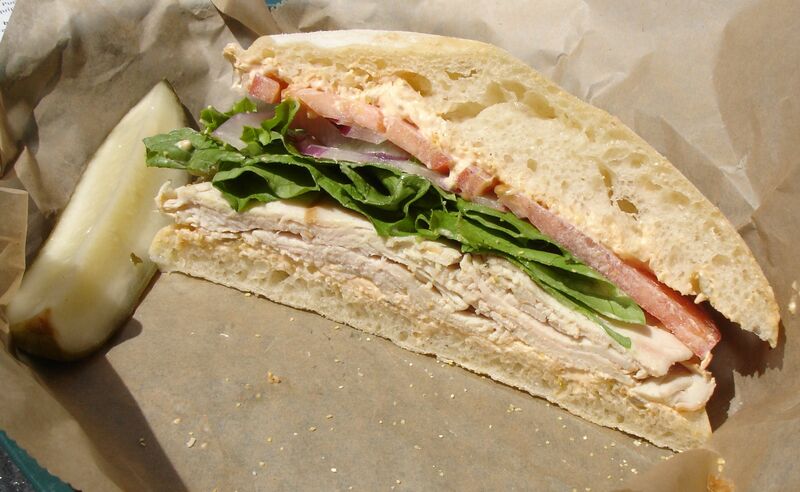 This is Avenue Bread's Baja Turkey Sandwich, with jalepeno cream cheese on a chewy ciabatta. Yum! As Avenue Bread’s name implies, they make all their own bread. You can buy a loaf to go as well. Their James St. location has a bigger kitchen and has more breakfast options. It’s not to hard to eat local with great little places like this!